The Myers Briggs Type Indicator (MBTI) is a test for gauging personality type which has been around since the 1940s. It helped lay the foundations of the psychometric testing methods used today by employers. The test’s origins are somewhat interesting. The story goes that one Christmas vacation, Isabel Briggs brought home a boyfriend, Clarence Myers, to meet the family. Though Isabel's parents liked the young man her mother Katherine noted that he was different to the family. Katherine became interested in the idea of categorizing people according to personality type, and through reading autobiographies developed a basic typology of 'meditative types', 'spontaneous types', 'executive types' and 'sociable types'. She discovered Carl Jung's book Personality Types and it became the theoretical foundation for a lifetime's work, later taken up by her daughter (who became Isabel Briggs Myers). Though Isabel never studied psychology formally, the head of a local bank enabled her to learn about statistics and personnel tests, and the first forms of her Type Indicator were created in 1944. Briggs Myers persuaded school principals in Pennsylvania to get the test taken by thousands of students, and also by medical and nursing students. A private educational testing firm heard about the Indicator and published it in 1957, but it did not go into wide public use until the 1970s. Since then, the MBTI has been administered to millions of people, mostly for job compatibility purposes but also in relation to teaching, marriage counseling and personal development. The test has been refined over the decades, but Katherine Briggs' original intention of discovering 'why people are how they are' remains its inspiration. Gifts Differing is Isabel Briggs Myers' personal explanation of her work, written with the assistance of her son Peter B Myers and completed shortly before her death. 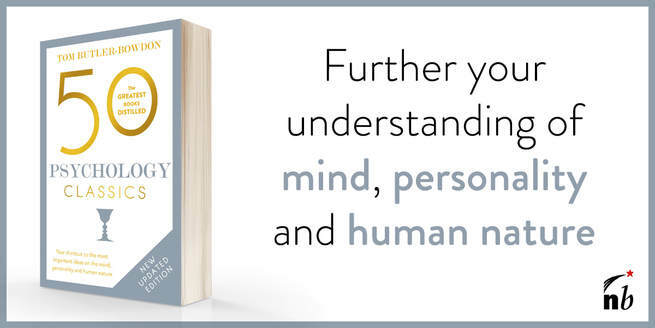 If you are interested in the ideas behind personality typology, this is a key book to read. When you do the actual MBTI test (consisting of yes or no questions) your personality preferences will be expressed in a four-letter code, for example 'ISTJ' or 'ESFP'. Below is a summary of some of the key distinctions between the 16 types, and how this knowledge might be applied in practice. In Psychological Types, Jung suggested two contrasting ways that people saw the world. Some people could appreciate reality only through their five senses ('sensing' types), while others waited for internal confirmation of what was true or real, relying on their unconscious. These were the 'intuitive' types. People who use the sensing mode are engrossed in what is around them, look only for facts, and find it less interesting to deal with ideas or abstractions. The intuitive people like to dwell in the unseen world of ideas and possibilities, distrustful of physical reality. Whatever mode a person enjoys using and trusts most they will tend to use from an early age and refine over a lifetime. In the Jung/Briggs Myers understanding, people choose between two ways of coming to conclusions, or judgments: by thinking, using an impersonal process of logic; and by feeling, that is, deciding what something means to you. Whichever way people prefer to use they will tend to stick to. Trusting their own way, the thinkers will think of the feelers as being irrational and subjective in how they arrive at things. The feelers will wonder why the thinkers can possibly be objective about the things that matter to them – how can they be so cold and impersonal? Generally, a child who prefers the feeling mode will likely become someone good at interpersonal relations, while a child who prefers the thinking mode will become good at collating, using and organizing facts and ideas. ST people like to proceed only upon the basis of facts that their senses can verify. Practical-minded, their best work is done in fields that require impersonal analysis such as surgery, law, accounting and working with machinery. SF people also rely on their senses, but the conclusions they make will be more based on how they feel about these facts rather than cold analysis of them. They are 'people people' and will tend to be found in fields where they can express personal warmth, such as nursing, teaching, social work, selling and 'service-with-a-smile' jobs. NF people also tend to be warm and friendly, but instead of focusing on the situation or facts at hand, are more interested in how things might be changed or future possibilities. They will like work that utilizes their gift for communication combined with their need to make things better, such as higher level teaching, preaching, advertising, counseling or psychology, writing, and research. NT people are also focused on possibilities, but draw on their powers of rational analysis to achieve outcomes. They are likely to be found in professions that require ingenious solving of problems, particularly of a technical nature, such as science, computing, mathematics or finance. A preference for extraversion (seeing life in terms of the external world) or introversion (greater interest in the inner world of ideas) is independent of your preferences for sensing, thinking, intuition or feeling. You can be an extroverted NT type, for instance, or you could be an introverted sensing and feeling type, that is an ENT or an ISF. The first letter of the four letter code, 'E', or 'I' will indicate your extraversion or introversion preference. Extraverts tend to move quickly with things and try to influence situations directly, while introverts give themselves time to develop their insights before exposing them to the world. The extravert will be happy making decisions in the thick of things, while the introvert will want to reflect before taking action. Neither will necessarily make better decisions than the other; it is simply the executive style that each is comfortable with. Although a person will favor certain ways of being, one will dominate above the others. Consider an 'NT' type. Although possessed of both intuitive and thinking preferences, if he finds thinking more attractive this becomes his dominant process. He may intuit something as being right, but this must be confirmed by objective thinking. As thinking is a process of judgment, the final element in this person's type will be 'Judgment'. He is an 'ENTJ'. Other people’s final letter will be ‘P’, for perception, indicating their type’s strong desire to understand better. The need for a dominant process to bring cohesion to the self is perfectly understandable, but Jung went further to suggest that each person also needs an 'auxiliary' process. An introvert will have extraversion as their auxiliary so they can 'put on a public face' when needing to. An extravert will use introversion as their auxiliary to take care of their inner lives. In both cases, if the auxiliary is little used, the person will live in one extreme and their lives will suffer accordingly. In Briggs Myers words: “The success of introverts' contacts with the outer world depends on the effectiveness of their auxiliary. If their auxiliary process is not adequately developed, their outer lives will be very awkward, accidental and uncomfortable.” In our extravert-oriented society, there is a greater penalty on introverts who do not develop their auxiliary than on the extraverts who fail to take account of inner things. The fact that people don't get along all the time suggests that they don't understand or value the ways another person sees the world. A thinker, for instance, will underrate a feeling type's judgment, because she cannot understand how he can come to good decisions without using logic. The thinker makes this assumption because her own feeling is erratic and unreliable. But the feeling type has cultivated his dominant process to such an extent that it delivers him good perceptions and judgments, even if it doesn't for the thinker. In the same way, because a sensing type must perceive and judge based on what they see, hear, smell and touch, the views and conclusions of an intuitive type, who just 'knows' if something is good or bad, will seem incomprehensible. For the intuitive, the sensing type will see to plod along without the 'breath of life': inspiration. Another example: Thinkers think that feeling types talk too much. When they speak with someone, they want information. Therefore if a feeling type wants anything from a thinker, she should try to remember to be concise when conversing with them. In all these cases, what each type fails to appreciate is that the dominant process of another person works, and works well. Trying to tell that person their perceptions or judgment is wrong is like telling grass that it shouldn't be green. With a sensing type you have to very clearly articulate the problem before you can expect them to provide a solution. · Intuitives will only be interesting in helping if an interesting possibility is dangled before them. · Thinkers need to know what sort of end they are looking for and to be explained the situation in a set of logical points. · Feeling types will need to have the situation framed in terms of what it means to the people involved. In all types, it is well to remember never to focus on the people involved, but to attack the problem. In awareness of each type's contributions, there will be less conflict, less chance of loss of face, and a greater chance of a perfect solution emerging. Isabel Briggs Myers’ lack of formal psychology qualifications ensured she would never be fully accepted by the psychological establishment. Some have questioned whether she interpreted Jung correctly, and therefore whether the whole methodology for identifying personality type is unsound. Jung himself was wary of applying his general principles to particular individuals, and skeptics also charge that the type explanations are too vague and could apply to anyone. Judge for yourself. You may find, if you take the test or a variant of it, that the description given of you is remarkably accurate; it may explain much about yourself and people close to you. On her own scale, Briggs Myers came out as an 'INFP' (Introverted-Intuitive-Feeling-Perceiving). She noted that introverts often gained the most from doing the test. As three out of every four people are extraverted, and for every intuitive there are three sensing types, it is therefore an 'extravert's world'. As a less common type, introverts may not surprisingly feel some pressure to be something they are not, and the MBTI allows them, perhaps for the first time, to feel it is OK to be who they are. One of the fascinating insights in Gifts Differing is that recognition and development of one's type may be more important to success in life than IQ. Isabel Briggs Myers saw personality type as being innate as left- or right-handedness; anyone who tries to be a right-hander when they are really a leftie is asking for stress and misery, whereas going with your strengths massively increases the chances of fulfilment, happiness and productivity. Born in 1897, Isabel was schooled at home by her mother in Washington DC. Her father Lynam Briggs was a physicist and for over a decade was the director of the National Bureau of Standards. She married Clarence Myers in 1918 and the following year graduated from Swarthmore College with a BA in political science. Her tests of over 5000 freshman medical students were done at the George Washington School of Medicine. She followed up the study twelve years later, finding that the students had generally followed paths (i.e. Research, general practice, surgery, administration) that might be expected of their type. The nursing study involved 10,000+ students. The MBTI was first published in 1957 by Educational Testing Service. Katherine Cook Briggs died in 1968, and Isabel Briggs Myers in 1980. Their work is continued today through the Myers & Briggs Foundation. Peter Briggs Myers, born in 1926, was a Rhodes Scholar in physics. A scientific researcher and administrator, he was a staff director at the National Academy of Science. Involved in the development of the Myer Briggs Type Indicator since his teens, he is now Chair of the Myers & Briggs Foundation and a Trustee of the Myers-Briggs Trust.